Perfect Vermont Farmhouse At The Base Of The Stratton Mountain Access Road. This is a very comfortable home instead of a rental. Home has three bedrooms, two baths. Queen bed in master. Queen in upstairs bedroom, full and twin in second upstairs bedroom. Twin bed downstairs in secondary family room which can also be used as fourth bedroom. Comfortable pull out sofa in main living room. Gas fireplace, dishwasher, microwave, plasma TV with cable, wireless internet. Very kid friendly with movies and games. Our family purchased this home in 2007 for our love of the outdoors. We currently live in the Philadelphia metro area and use the home regularly so it is part of our lives instead of simply an investment. We believe that sharing our home to people with like interests will help build your love of the area as well. This homes unique location in the center of the quaint town of Bondville is unmatched. Walk next door to the Stones Lodge for dinner or a drink. Stroll in town to grab a coffee then over to the Winhall Market to grab the nights dinner. Relaxing back deck with Adirondack chairs make for a perfect Vermont evening. When you need the fun. Gale Meadows Lake is but a mile down the road. Skiing, snowshoeing, XC skiing, golf and the ski village of Stratton are only three miles away. Beautiful town of Manchester only 10 minutes away with shopping, dining and sites. The unique hand cut beams in the home make it feel very warm. The large stone gas fireplace provides the perfect amount of charm on a snowy winters night. Comfortable and cozy is why we love this home. Doug was very fast at communicating with us. The location is perfect and easy to find. We were a group of 10+1 child. There is enough space for all. But in the end only 8 ppl were present. The 2 bathrooms (one is inside master) can be challenging for a large group but we were all friends and easy going so it worked out well. The kitchen is well equipped. The central heat works very well and the fireplace helps with the ambiance. Thank for you for the kind words. Glad you enjoyed your stay and were able to accommodate everyone. Please keep us in mind for you next visit to VT.
Nice, clean, well kept house 2 minutes to the entrance of Stratton Mt. Very nice and accomodating, the owners were extremely responsive to any questions we had. Would definitely rent from them again next year. lovely property, lots of space inside, great backyard, the firepit is a nice bonus! Accommodating and available hosts. Thank you so much! We will return. We are a family of 5 and this house was a perfect fit. TONs of space inside the house for the kids to "spread out" a bit and enjoy. It was super kid-friendly. Good bedrooms for everyone. The owner Doug was easy to get a hold of and described everything perfectly. We had a great time! We couldn't have enjoyed our trip more. The house was the perfect setting for a ski trip getaway, with all the feel of a cozy Vermont lodge you could want. Will definitely look to book this place again for our next Vermont adventure. Thank you so much for the kind words. Glad you enjoyed yourselves. Anything else we can ever do to make the stay more enjoyable please let us know! Even better than expected. Great location. It became the family focal point during the wedding week end. Marathon ping pong games and whiffle ball in the back yard. We swam in the river and floated on noodles. Great time at the Red Fox Inn with perfect weather. The house absorbed all of us beautifully. We loved it!!! Thank you Doug for making it available to us. 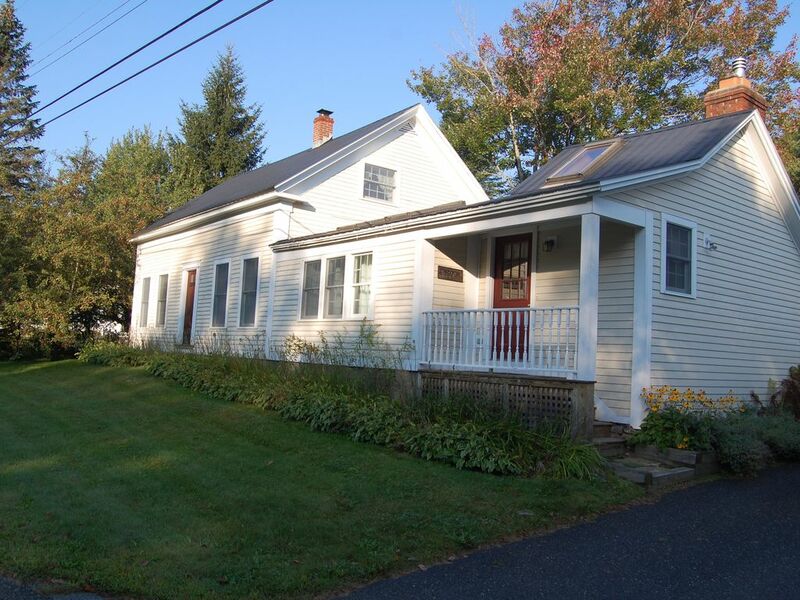 The home is located in the quaint town of Bondville at the base of the Stratton Mountain access road. Simply walk to several restaurants or the local grocery store. Beautiful surroundings. Take a hike in the state park, discover a local swimming hole, take a 10 minute drive to Manchester for dinner, outlet shopping or antiquing. Five ski resorts within a half hour drive. Stratton Mountain is three miles while Bromley and Magic are approx 8! Either Mt Snow or Okemo are approx 20 minutes away while Killington is just under an hour.